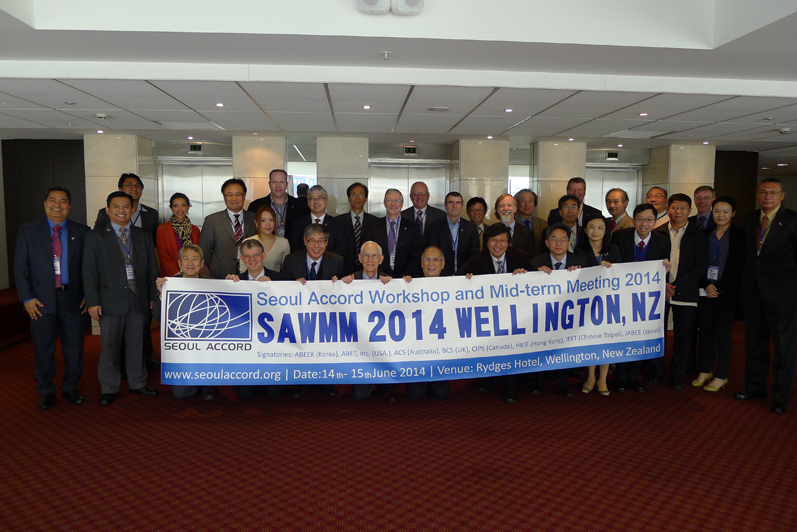 The Seoul Accord Workshop and Mid-term Meeting (SAWMM) 2014, Wellington has come to a successful conclusion on Sunday, June 15. The meeting was attended by delegates of all eight signatories as well as representatives from the Institute of IT Professionals best replica watches New Zealand (IITP), the Philippine Accrediting Association of Schools, Colleges and Universities (PAASCU), and the Philippine Information and Computing Accreditation Board (PICAB). With a wonderful reception hosted by IITP in the New Zealand Parliament, the 2-day meeting followed covered topics from Accord business matters, status of IC field, potential Accord signatory application, sharing of accreditation practices and more. Details on the meeting can be found in the SAWMM 2014 minutes attached in the attachment area or click here.